The Green Ghost is out there! 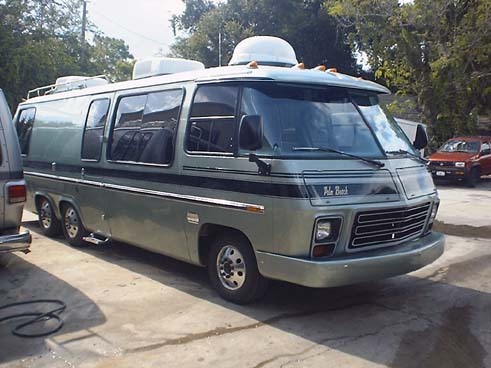 This is a 74 Palm Beach that is anything but old! The exterior got our new fiberglass bumper covers, Visor & wheel flare kits along with aluminum wheels, new roof AC units and a 6000 watt water cooled Honda generator. 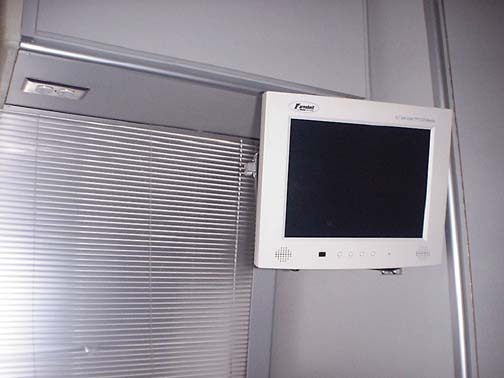 You can see the full time satellite system (Trac Vision) system which we are now dealers for. 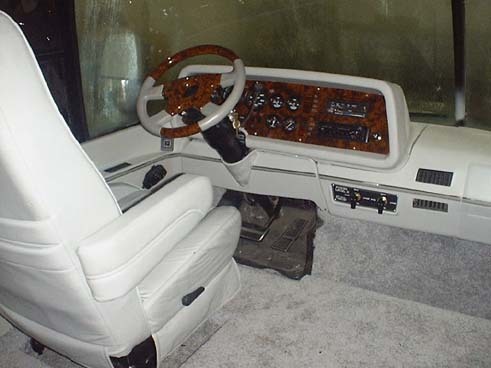 A Custom Instrument Panels burl wood bezel/ gauge kit, burl wood steering wheel, reupholstered dash and new seats make the driver compartment a real thrill. 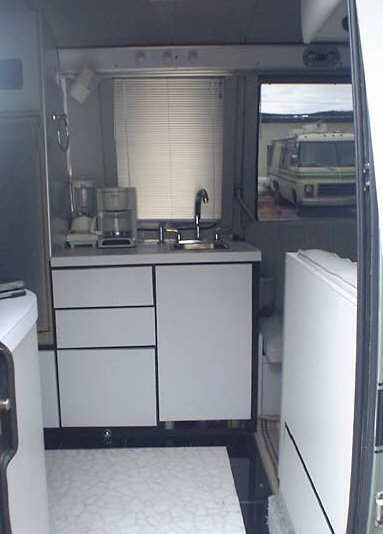 The dinette was cut short by 10″ allowing more “mingle room” on the floor while keeping the useful dinette fixture. 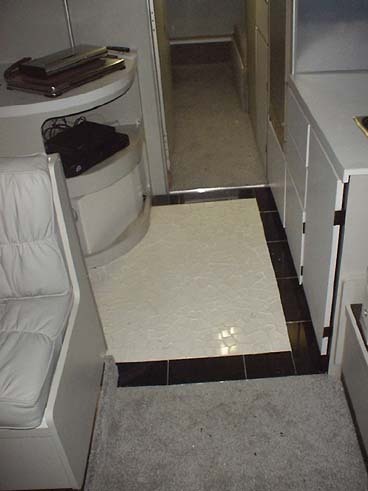 Yes, that is a chip marble floor with real granite trim in the entry and galley area. The carpeted area has 1/2″ of “durarock” for sound insulation. The look was clean and new. 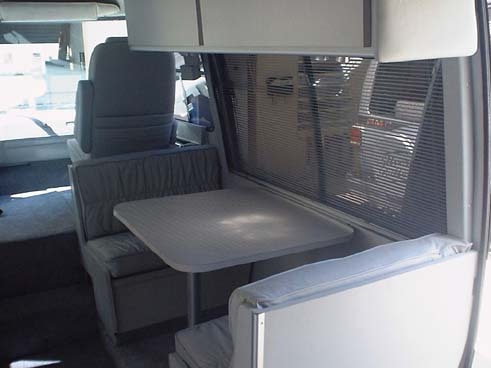 We relaminated the original wood sofa frame and kept the original bunk set up. We cut down the galley counter to relocate the frig. 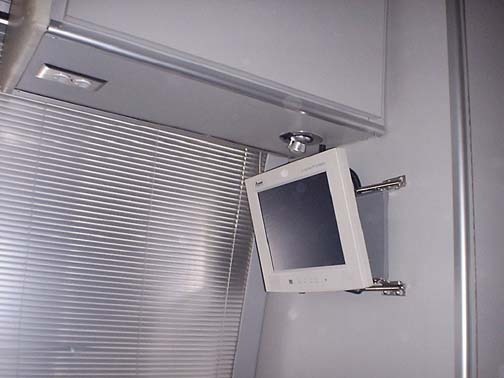 and allow room for the audio/ video system. 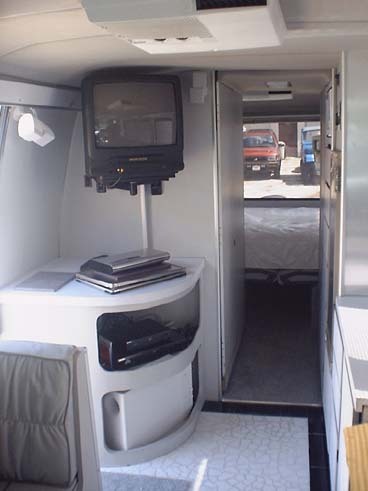 VCR, DVD, Bose surround sound, 2 TFT 15″ flat screen monitors and full time satellite are a few of the features of this entertainment center. 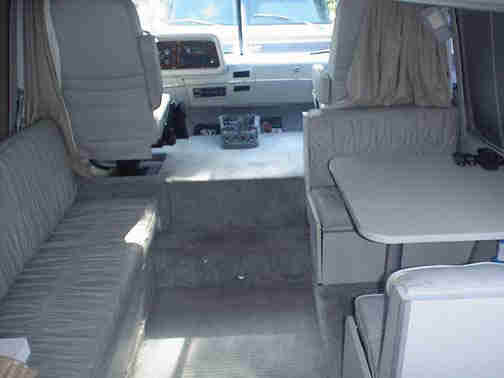 Clearly Rick’s coach was a well thought out complete custom interior and much effort was put into making this coach a center for pride and enjoyment. 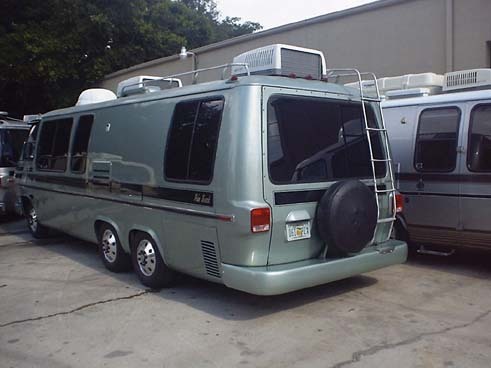 Its not for everyone and some may find it down right hard to live in but this is not a “live in coach”. 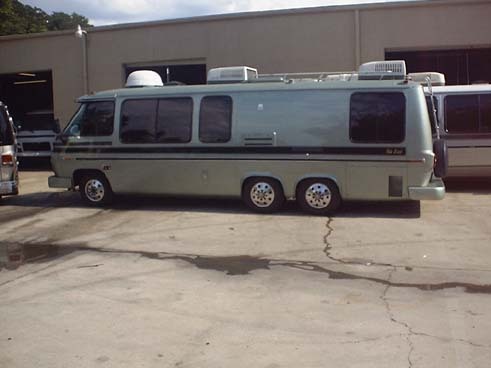 If you want to take a trip, this coach is for you.